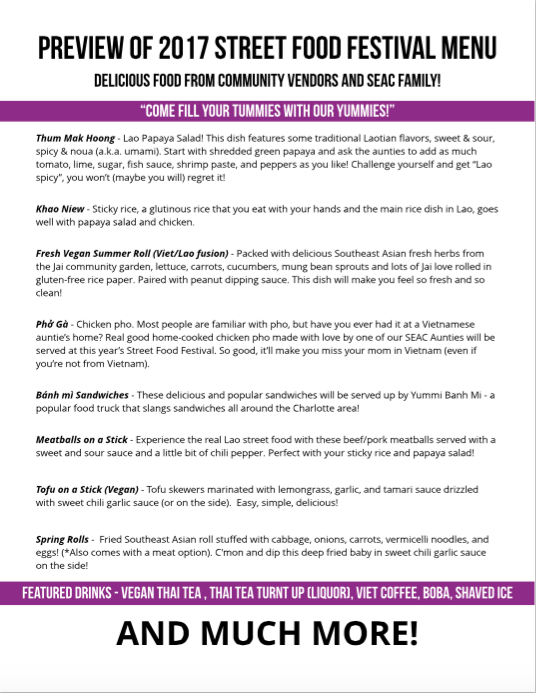 a flavorful grassroots community event! Food from different Southeast Asian countries and tribes! To make a donation in support of SEAC's Youth Program, click the button below! 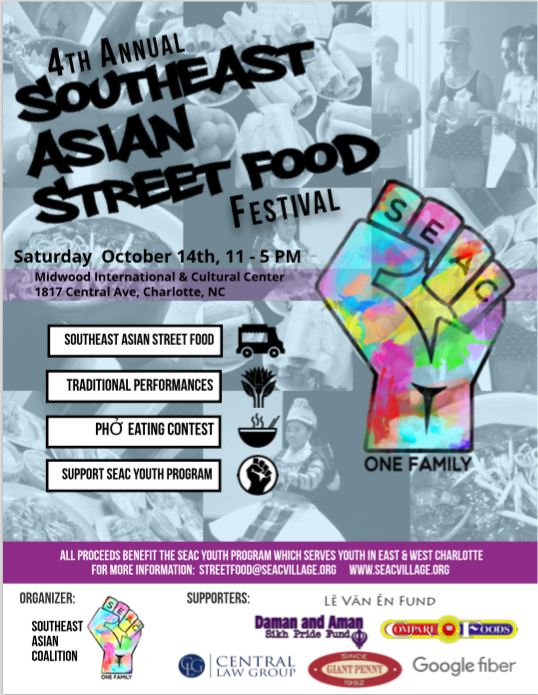 All proceeds benefit the SEAC youth program which serves youth from east and west Charlotte, and Greensboro!